Rotators are a great way to drive traffic to your websites. How can a Free member get 3 rotators? Easy - Upgrade. The 2nd Chance OTO for Lifetime GOLD is $17. More rotators + huge ad pack + monthly ads - SO many more benefits. So how can you justify that $17 expense? Commission from one Clickbank sale could pay that and more. Why use Viral Rotators on these Sites? Referrals. For every URL displayed, a header appears offering a free rotator to the viewer of your site. If they accept, they join that safelist AS YOUR REFERRAL! 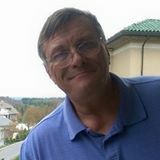 After signature line: on emails or autoresponder messages and broadcasts, I place one or more rotators after the signature line that steps through lists of landing pages for Clickbank products, JVZoo products, ecourses, ebooks, affiliate links for current projects, Promo Codes, traffic sources (affiliate links for favorite safelists), etc. Do not place URLs anywhere in credit mails or solo ads. Safelists. WorldProfit-owned and other safelists with good performing text ads are good. Not all sites have good performing text ads so test them. "I was a Founder/Co-Admin Member before I took over as Admin. One of my Absolute Favorite Sites. Great site to Advertise. Great Site to Get Referrals. Great Site to Earn Commissions..."
"Great place to lesrn. Great pace to Earn. Top of My List."